The African-American news and culture site was acquired by Univision on Thursday. Univision, the premier media company for Latinos in the U.S., has acquired the African-American oriented news and culture website The Root. "This bold new partnership between Univision and The Root underscores the ties that have long bound people of color together throughout the Western Hemisphere," said The Root co-founder, Professor Henry Louis Gates Jr., in a statement on Thursday. According to Univision, The Root will be able to use the company's facilities and infrastructure, but will maintain its editorial objective and voice. Gates said the partnership represents "a sign of even greater levels of communication, collaboration and exchange between these culturally vital groups of people." 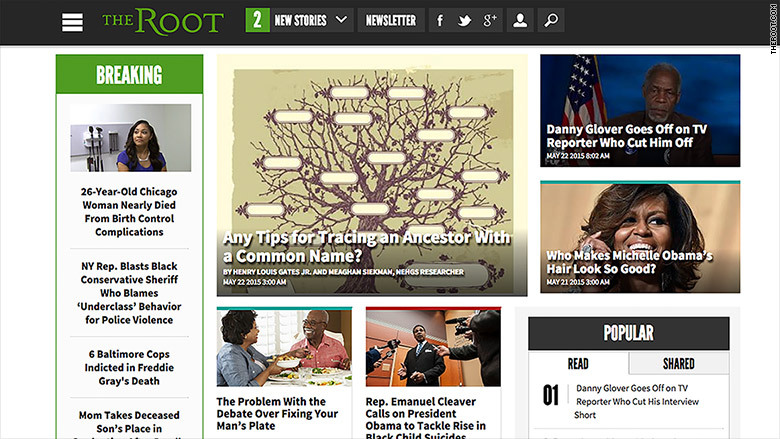 The Root, founded in 2008, has crafted itself into a leading website for African-Americans. The site has built an audience of 5 million unique users a month, according to data research company ComScore. The website was previously owned The Graham Holdings Company via The Slate Group. By bringing in The Root, Univision expands its brand to more diverse audiences. "Like Univision, The Root aims to serve a significant segment of America's diverse population," Isaac Lee, president of News and Digital for Univision Communications Inc. said in a statement. "This game-changing union strengthens our ability to fulfill our shared missions of informing and empowering our communities." Univision's most famous anchor, Jorge Ramos, broke through to mainstream audiences in April when he was named one of Time's 100 most influential people. The anchor, who is considered to be the most influential Hispanic anchor in the country, made one of Time's five main covers alongside other influential people like musician Kanye West and Supreme Court Justice Ruth Bader Ginsburg. Also in April, Univision ended its longest-running show, "Sabado Gigante." "Gigante" was a flagship broadcast that was on the Spanish-language network for more than 50 years.